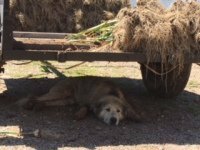 We have finished harvesting our garlic. The weather was perfect this year. 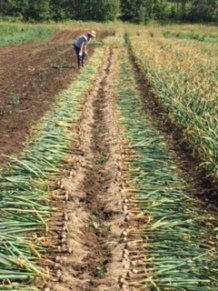 Our garlic is beautiful, larger and drier, so it will keep even better than in previous years. 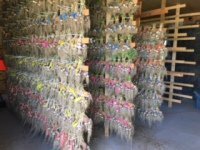 The garlic is currently hanging in the drying shed where it will slowly cure for 3 to 4 weeks. It will be available for sale before the end of August. 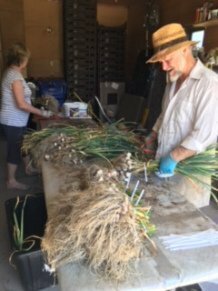 Contact us at mayohillgarlic@gmail.com if you would like to reserve your garlic or if you have any question. There are many varieties to choose from.